I have two amazing competitions for you from Dalani Home & Living If you haven’t come across it Dalani is an online UK shopping club. It has new sales starting every day with prices at up to 70% off the manufacturers’ RRP. All products are carefully chosen by the style team and who strive to source the best in homewares. It’s all very classy. Competition 1 Question: What is the name of the brand in the sale at the top of the Dalani homepage? Competition 2 is to win a £250 voucher and is being held on 36 participating blogs. There are 2 x £250 vouchers up for grabs. To take part in the competition, you simply need to visit the Dalani website and select items to the value of £250 that you would like to use to revamp a room in your house. Once you have selected their items, you simply need to tell me what these are in the comment sectio on my blog what the items are and why you have chosen them. Dalani will select 2 winners from all the comments received across the 36 participating Ebuzzing blogs. I am sure baby budgeting readers have the best eye! Good luck everyone in these fab competitions! I would buy the Mumo copper XL cusion, 2 of the Danalight ball table lights in white glass and the Nourison Paul medium rug. All lovely! I’d choose this floor light as my living room light could do with being toned down. I’ve “spent” £250.90 on lantern, bird houses, stprage baskets and towels. I would love the aster carved large frame, the red pouff and two red pods. This would be perfect as I would love to change my colour scheme to a more bright and cheery red. I have chosen a Surya teal throw, a William Francis dressing table mirror, a chloe Croft flamingo cushion, a Danalight black glass pendant light, and some candles from the Illume range. All to add to my bedroom scheme to make it more sumptuous! I live in a quirky little cottage near the sea in Cornwall and would love to spruce up my sitting area, so I’d opt for the Hubsch White Rocking chair and set of three white storage boxes. Then I’d add one of Stephanie Pisani’s nature inspired cushions in the duck design – so cute! 1. Rocking Chair because it looks so comfy. 2.Paris Travel Paperweight – because we went there last year and my six year old loved going up the Eiffel Tower. Beautiful, beautiful – what to choose? I think i’d go for the French Garden table with two folding chairs, because ours are old, tired and rusty and noweher near as chic as these; then I could serve an afternoon tea for two in the garden using the Bombay Duck Flight of Fancy teapot, milk jug, sugar bowl and cake stand. I’d love to pick a couple of the Surya Throws to revamp my tatty sofa’s and make my lounge beautiful again! I’d buy the Chaterhouse pan set. Gorgeous! I would buy the silver Moroccan pouffe, the red Moroccan throw and also the green silk striped throw. I would buy the vivaraise jeweled stripe cushion and the wave cushion also. These would instantly re vamp my living room with stunning colorful soft furnishings. 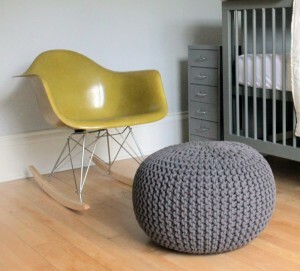 The silver pouffe is my favourite I have been looking for something similar for a while. Your email is bouncing back from the other £50 competition you were running…??? I would buy from the Eveil & Nature bedroom range, I have a baby born due 28th June so would make his nursery look beautiful!